Our Brooke Sofa is perfect for any traditional or transitional decor. With rolled arms and spooled wood feet, the Brooke Sofa is elegant and comfortable. 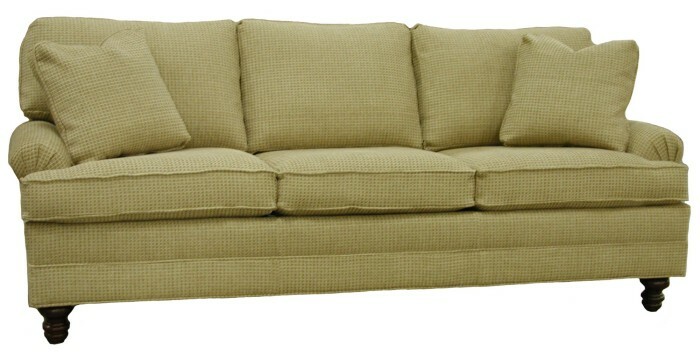 Design build your own custom American made sofa. Choose fabric, cushions, trim. Free shipping in-home delivery. Made in USA. Quality construction hardwood frame 8 way hand tied steel springs. Carolina Chair NC.